The ancient Greeks ate something that may have resembled cheesecake, but the English medieval cookbook, The Forme of Cury from 1390, has the first recipe that most resembles the modern cheesecake. Beat in cheese and eggs and sugar together until smooth. 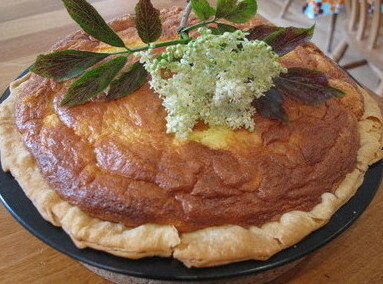 Add elderberry flowers and rosewater to the egg and cheese mixture and mix well. Pour the mixture into the pie crust and bake at 350°F for 50-55 minutes. 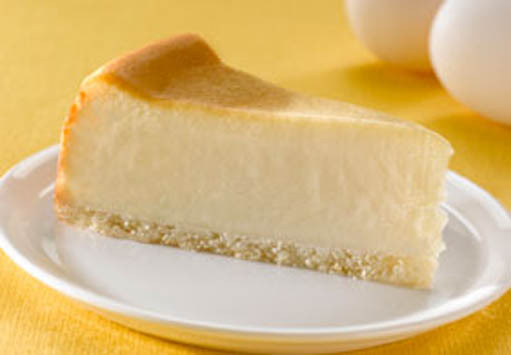 So cheesecake has been been eaten in Britain for at least 629 years.